For many years, Shih Tzu has won the hearts of millions of pet owners making the breed one of the most popular lap dogs on the planet. This dog breed is known for their love of humans and warm personality. However, feeding Shih Tzu is a bit tricky because of their common health problems, energy level needs and their small size. Therefore, if you really love your pet, the best thing to do is take the responsibility of looking for the best dog food for Shih Tzu that suits all the specific needs of this unique breed. Here are reviews of the top rated brands that meet this breed’s nutritional requirements and a buyer’s guide to help you choose the best product. What To Consider When Purchasing The Best Dog Food For Shih Tzu? Nutro Ultra Adult Dry Food is our top pick as it designed with nature very best ingredients. Besides, the dog food is moderately priced and prides of using quality non-GMO ingredients. The product features an excellent formulation that combines three lean animal sources of protein, natural oils & whole grains and highly effective plant-based antioxidants. These three sources of protein include lamb meal, fresh and dehydrated chicken and salmon meal. The top key ingredients of the food are a chicken meal and fresh chicken, while whole grains and natural oils make a list of the other ingredients. These whole grains include brewer’s rice, rice bran, and brown rice, while the natural oils include sunflower oil and chicken fat. Nutro Ultra contains another list of ingredients from fruits and plants such as dried coconut, chia seeds, dried kale, dried spinach, and carrots. Besides, the list also includes tomato pomace, dried apples, and dried blueberries. These ingredients make the product the best dog food in meeting unique nutritional needs of Shih Tzu. The dog food contains 26% protein content and 15% fat content and is free of chicken by-product meal, soy, artificial additives, and corn. With these ingredients, Nutra Ultra helps in moisturizing dog’s skin and promoting the general health of your pet. Royal Canin is a high-quality dog food that features highly active ingredients, but a recommended choice for those not so tight on their budget. The primary ingredient in this dog kibble is brewers rice, which is a cereal grain by-product. This component consists of remaining fragments that are found after whole rice milling that has high caloric energy. The other primary ingredient is chicken by-product meal, which is a dry product obtained from slaughterhouse waste. This ingredient is made from slaughtered chicken left overs after removing prime cuts. Besides, the component might contain any chicken part like beaks, feet, undeveloped eggs, but not feathers. Royal Canin Health Nutrition includes by-product meals, which are meat concentrates with about 300% more protein as compared to fresh chicken. Also, it contains whole grains in the form of oat groats that can easily be digested. These whole foods are gluten-free, provides high caloric content, and are average in nutritional value. The other ingredient of this dog food is wheat gluten, which contains 80% protein and has a lower biological value as compared to meat. Besides, it contains chicken fat that is made from rendering chicken in a process similar to soup making. Chicken fat is rich in omega-6 fatty acid and linoleic acid, which is essential for a healthy life. Wellness Complete Health is a quality and affordable product that offers a complete and balanced daily nutrition for Shih Tzu dog. This dog food has a great formulation that features smaller sized kibbles with tasty oatmeal, salmon, and turkey. This makes it ideal for many small breed dogs. The dog food is made from all natural ingredients and is free of wheat, soy, corn and meat by-products. Besides, the product is free of artificial additives like flavors, preservatives, and colors. 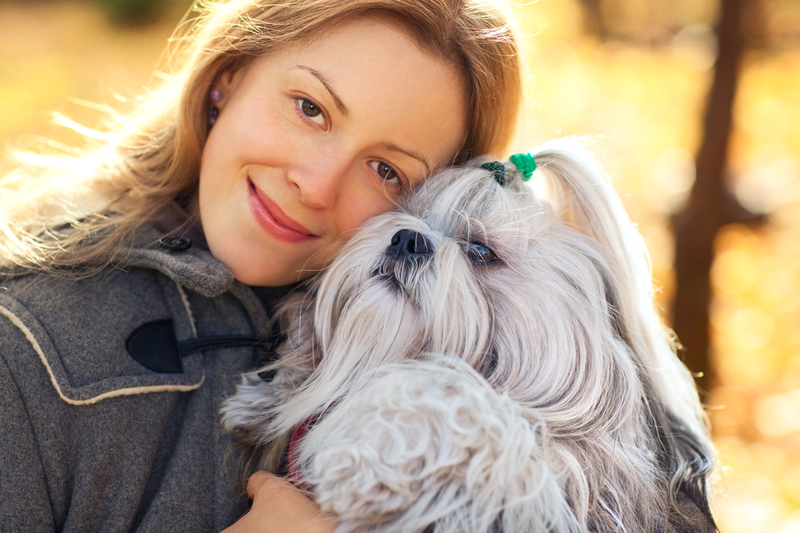 It helps in reducing food allergies and other health complications in your Shih Tzu pet. Wellness Complete Health Nutrition is known to have perfect balance nutrients that include protein, minerals, and essential vitamins. This helps in supporting specific health requirements of small breed dogs. Moreover, the nutrients blend with natural additives to create a tasty recipe that your Shih Tzu dog will crave. This is one of the best dog foods and a top upgrade for those who want to change from other products. Blue Wildness features a complete and balanced nutritional formulation that caters for all the unique needs of your Shih Tzu pet. Besides, Blue Wilderness dog food is delicious kibble that suits the nutritional value of your dog in all life stages. Blue Wilderness dog kibble features a two-part unique food formula that consists of the best natural ingredients. These ingredients blend with minerals, vitamins, and antioxidants to enhance the effectiveness of this product. The nutrients are processed at relatively low temperatures to help in preserving their potency and prevent degradation. The dog food contains real chicken, salmon, and duck as the primary ingredients. It includes other high-quality protein sources that most dogs like. Moreover, the dog food contains DHA that boost the cognitive development of your puppies. Blue Wilderness provides glucosamine and chondroitin, which offers bones and joint support to your pet. Besides, this dog recipe features a formulation that matches the old dog’s diet and suits Shih Tzu nutritional needs. This is available in different recipes that include tasty, protein-rich bison, venison, quail and rabbit that appeal to most dogs. Wellness Core Natural Grain-free Dry Dog Food is a quality product that is rich in protein. The dog food contains about 80% more meat than standard products containing grains. It results in an excellent formulation that offers an extremely high level of meat. The dog product is free of grains and animal by-products and maintains a meaty protein flavor. Besides, Wellness Core consists of Omega fatty acids, probiotics, antioxidants, and much more. It offers a complete balanced formulation of nutrient-rich diet that suits the needs of your Shih Tzu dog. Wellness Core contains the finest quality natural ingredients that ensure the product is safe and gentle for your pet. It helps in providing a healthy, long life as the formulation does not compromise on nutrition. The dry food is designed for non-reproducing adults as puppies might have other special needs. This is our best pick for the best Shih Tzu puppy pet health growth and development. The dog food is recommended for puppies of up to one year age, nursing, and pregnant dogs. This is because the product contains the high-quality ingredients that make the product safe and gentle on your puppies. Hill’s Science contains natural DHA from the finest fish oil and high mineral levels. It helps in supporting healthy eye, skeletal and brain development of your young Shih Tzu puppy. Moreover, the dog food contains a specially balanced formulation that is easy to digest and meets nutritional needs of your pet. The dog product is designed from high-quality natural ingredients that support the small breed digestion system. These blend with minerals, vitamins and amino acids to offer a complete nutritional value. Besides, the dog food is free of artificial additives such as flavors, colors or preservatives, which makes it ideal for Shih Tzu puppies. Natural Balance Dog Food is the best dry dog food that contains purely natural ingredients. This dog food features high formulation that helps in reducing the number of elements that your Shih Tzu dog gets exposed to in the first place. This makes it safe and gentle for your pet. This dog kibble features a complete and balanced nutrition that meets the nutritional requirements of your Shih Tzu pet. Natural Balance is designed with a limited list of high-quality protein and carbohydrate sources. The Natural Balance Limited Ingredient food formula includes Fish Dry Dog and Sweet Potato formula. Therefore, it is designed to enhance the digestive health of your dog while promoting a shiny and healthy coat. Besides, the dog food contains salmon that offers essential amino acids for strong muscle tone and healthy skin. Protein is the key element that you should check to ensure the dog food contains required levels. 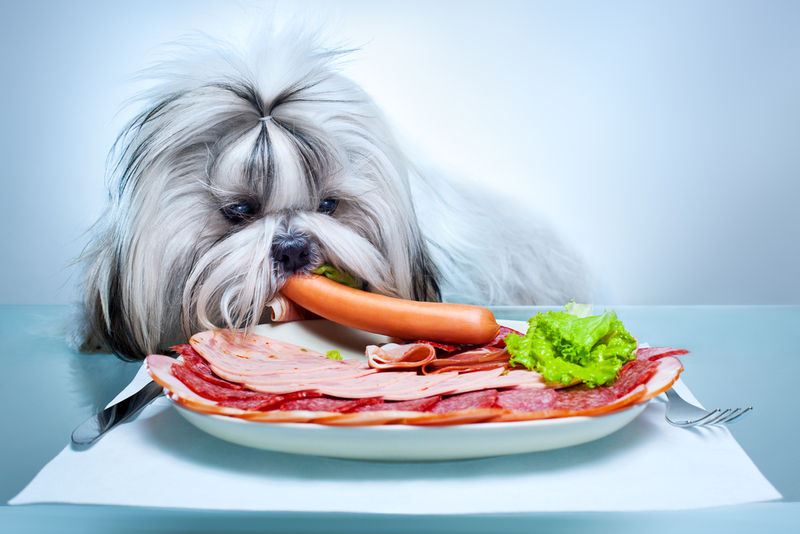 Remember those whole meats are much better for your dog as compared to the meal (rendered or dried meat) or by-products. Byproducts are fine for dogs but are more processed than whole meals making them grosser. Most top rated dog foods mainly contain chicken, turkey, beef, and fish. However, it is advisable to avoid novel proteins like venison, bison as they can be hypoallergenic, especially for dogs allergic to chicken meat. The dog foods that contain plant-based proteins from fruits, whole grains and vegetables are safe, and they are recommended by veterinarians. Most of the best dog foods that are ideal for skin sensitivities are grain-free and gluten-free. Besides, whole grain and vegetable carbohydrates sources offer great support to your dog’s digestion system. It is also important to ensure that the dog food does not contain excessive levels of carbohydrates to prevent your dog from becoming overweight. The amount and type of Fats is another important thing that every pet owner should consider before choosing any dog food. The perfect ratio of fat to proteins should be 1g to 2g respectively. This ensures that your dog gets equal amounts of calories every day. It is important to avoid generic animal fats and choose dog foods with healthy oils. These brands include fats sources that provide healthy Omega-3& 6 fatty acids. However, it is good to check on the fats levels in the dog foods, as some products underreport the fat levels and use it in plenty as it is cheaper than proteins. Minerals and vitamins are essential for dog’s bones, teeth, and metabolic systems. Therefore, you should ensure the dog food that you choose has enough of these to ensure that your dog remains healthy. The two components are mainly found in vegetables and fruits. This affects the safety and the gentleness of the product to your Shih Tzu pet. 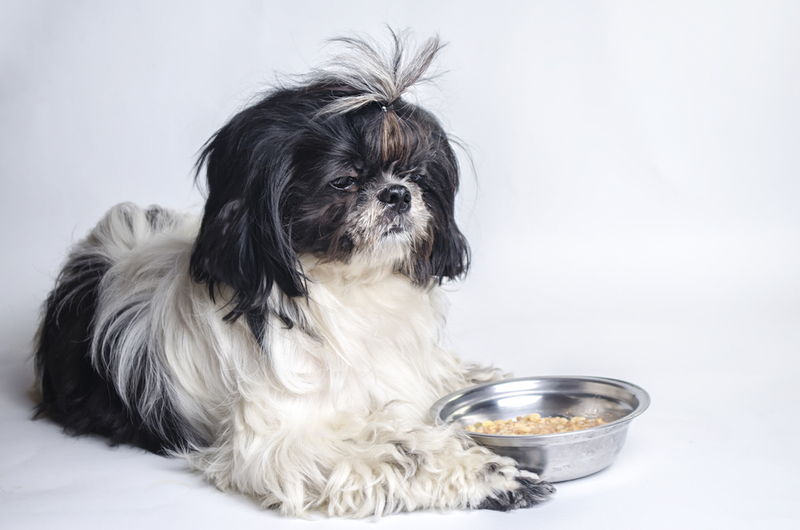 Natural preservatives and additives are ideal for the best dog foods for Shih Tzu. Therefore, you should avoid any product that contains any artificial additive or GMO ingredients and hormones as this might affect your dog. This condition is common to Shih Tzu dogs just like in many other small breed dogs. However, it can easily be managed by ensuring that you feed your pet with a diet contains complex carbohydrates sources as one of the ingredients. This is a condition that each of the top rated dog foods listed above meets. Complex carbohydrates help in maintain stable blood sugar levels all day and prevent blood sugar spikes. This means that such kinds of dog foods are ideal for Shih Tzu already suffering from hypoglycemia. However, it is important to note that this condition can fully manage it by feeding your dog on the right dog products.In most cases, Shih Tzu puppies suffer this condition, but it mainly clears off after they become adults. This, however, depends on the diet that the puppy is feeding on. Obesity is another common problem that might affect Shih Tzu dogs as they can also gain excessive weight. Therefore, it is important to pay great attention to how much the dog is eating and what is contained in the dog’s food. The problem can be handled by adding more protein and vegetable into the dog’s diet and limit the number of carbohydrate intake. This is because proteins and vegetables offer lesser calories as compared to carbohydrates. Besides, it is also important to avoid feeding your Shih Tzu dog with human food, as you might not be sure of its carbohydrate content. Just like other dog breeds, Shih Tzu is more allergic to some particular foods or maybe foods that contain certain ingredients. Some of the common signs and symptoms of these allergies include increased itching, scratching, excess shredding and development of rashes on the dog’s skin. However, the good news is that one or two ingredients mainly cause the allergies to your Shih Tzu. This means that it’s easy to avoid such allergens by picking foods that do not contain ingredients. It is important to settle on a limited ingredient dog diet for your Shih Tzu pet that has reduced number of potential allergens. Coprophagia is also a fairly common health condition that causes dogs to eat their feces, and it usually affects many Shih Tzu pets. The condition is considered a great sign that your dog is suffering from nutrient deficiency. This means that the pet owner is required to check on what he or she is feeding the pet, as it is not getting enough of the specific nutrient needs. The dog might be getting enough calories to survive, and enough content to fill the stomach but are not getting enough of the required minerals and nutrients. Therefore, coprophagia is a way of trying to compensate for this deficit. This another common problem that affects Shih Tzu dogs considering the tiny size of their bones. Therefore, the best way to prevent this issue is feeding your dog with a diet that helps in maintaining good bone health and strengthening them. This is by choosing the dog food that has high protein diet and adequate amounts of calcium. Choosing the best dog food for Shih Tzu pet can be a challenging task considering the wide variety of dog foods available on the market. With the clear understanding of nutritional requirements and a review of the dog top foods, it is now easier for you to pick the best product. Buying the best dog food for Shih Tzu is important and necessary for meeting all the nutritional requirements and preventing health complications.